Ponder And Stitch is a really recent find of mine. Over there, blog owner Amy writes about her life and her love of thrifting. 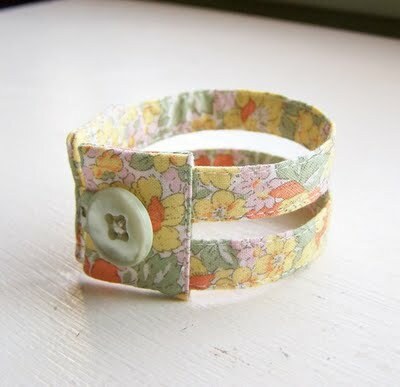 She also makes these beautiful wrist cuffs and has one to give away. Follow this link and leave her a comment before Monday, and if you win, she will let you choose one of three designs! If you cannot wait to get your hands on one, visit her Etsy shop, where you will find many different designs and styles to choose from.